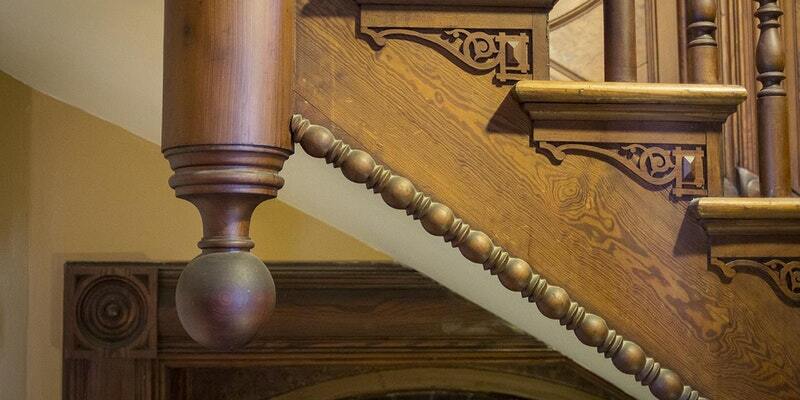 The Basement to Attic tour of the 1892 Bishop’s Palace offers you a rare look to areas of the home normally off limits. Palace Audio Tours – Order Online & Save! The Bishop’s Palace audio tour allows visitors to see historical images not previously seen, on a handheld screen. The house was built from 1887 to 1892 for Colonel Walter Gresham and his wife Josephine, with whom he had nine children. An attorney and entrepreneur, Gresham came to Galveston from Virginia following his service in the Civil War. He was a founder of the Gulf, Colorado and Santa Fe Railroad, eventually working to bring about the merger of the Santa Fe with the Atchison and Topeka Railroad. He also served in the Texas Legislature. Please note: Bishop’s Palace will be closed Easter Sunday, November 3 & 4, Thanksgiving Day, November 30, Christmas Eve, Christmas Day, New Year’s Day and January 5-12. We will also close at 3 p.m. on New Year’s Eve and will be open from 1-3 on New Year’s Day. Also, we will open from 12-6 p.m. on Saturday, December 1 and 12-5 p.m. on Sunday, December 2. BOOK YOUR AUDIO TOUR ONLINE AND SAVE! 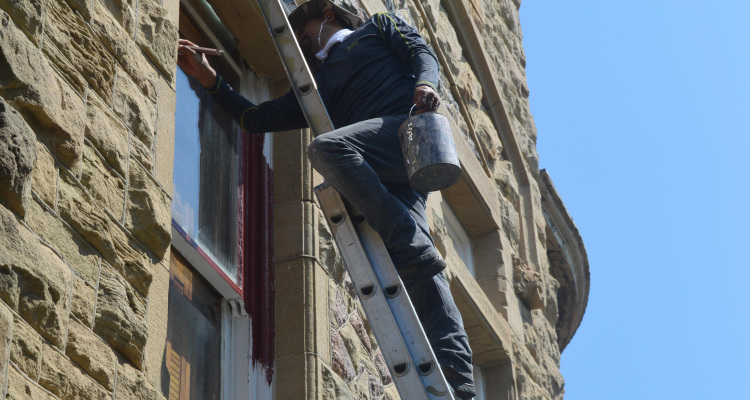 Offering participants a rare look into parts of the 1892 home that are typically off-limits, the Basement to Attic tour returns this weekend to Bishop’s Palace, 1402 Broadway. One of the highlights of the tour, Mrs. Gresham’s studio, offers visitors a truly one of a kind view of the Gulf of Mexico from the house’s third floor. RESERVE YOUR BASEMENT TO ATTIC TOUR TODAY! 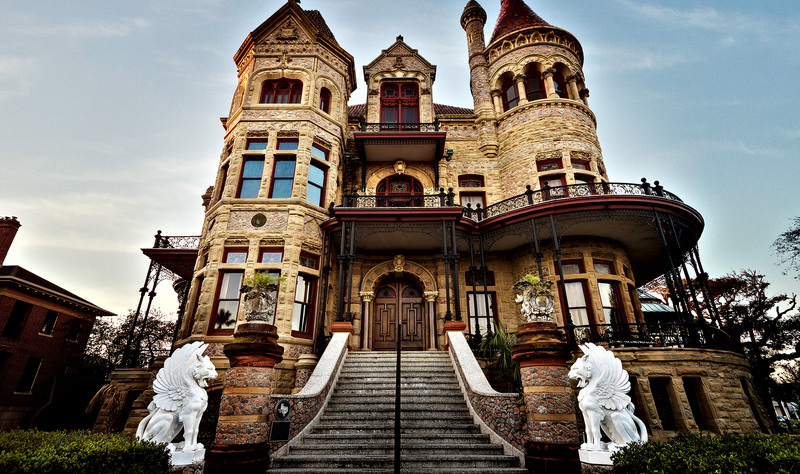 Immerse yourself in history and support the Galveston Historical Foundation. Private Tours of Bishop’s Palace are designed to provide an in-depth, detailed look at the house, Gresham family history, unique artifacts and more. An expert guide will take you through the house and will tailor the tour based on your interests. Private Tour: $50 per person. Reservations must be made one week in advance, limit 6. Private Behind the Scenes Tours: $80 per person. Reservations must be made one week in advance, limit 6. Reservations for private tours, call 409-762-2475. Visit The Shop At The Palace where you will find many one-of-a-kind kind items. We have the largest selection of Galveston and Texas history books on the island. 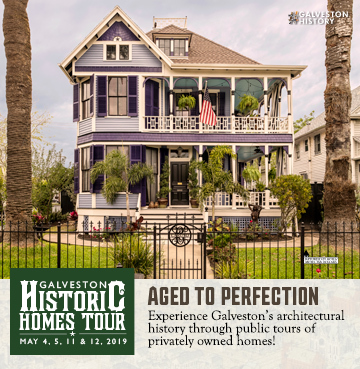 Also, you will find Galveston Historical Foundation Dickens on the Strand and Historic Homes Tour merchandise. We carry an array of Victorian-themed items, Bishop’s Palace souvenirs, Christmas books, magnets, spoons, ornaments and thimbles, locally made candles and jewelry, and a great selection of teas and related items. Bishop’s Palace also makes a fine setting for wedding photography by arrangement. Bishop’s Palace is not available for wedding and private event rentals. For rental information, call (409) 765-3402, or email Lauraleigh Vogel. Group tours can be arranged for parties of 20 or more. $9 per adult. Call 409-762-2475 or send an email to bp.user@galvestonhistory.org to book Bishop’s Palace. If you would like to book Bishop’s Palace in conjunction with 1877 Tall Ship Elissa, Pier 21, or Historic Harbor Tour, please call 409-765-7834. 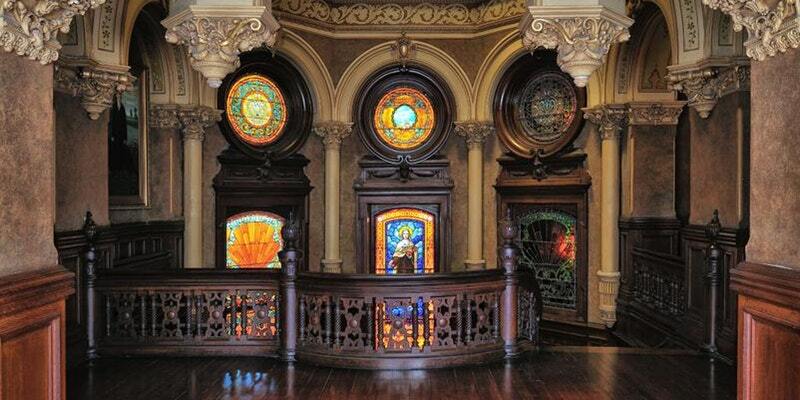 The 1892 Bishop’s Palace is a great place for students to learn about architecture and history. 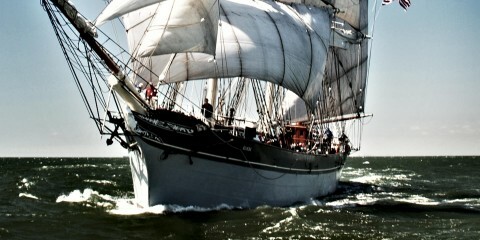 You can tour this site alone or in conjunction with our other attractions the 1877 Tall Ship Elissa, Pier 21 Theater. Student prices are $6 per student, chaperones up to 5 are free. Call 409-762-2475 or send an email to bp.user@galvestonhistory.org to book Bishop’s Palace. If you would like to book Bishop’s Palace in conjunction with please call 409-765-7834. We do not have a ramp for wheelchair or walker accessibility. Galveston Historical Foundation is committed to making our programs and historic sites special needs accessible. However, at this time, Bishop’s Palace is not fully accessible to those with physical disabilities. At Bishop’s Palace we can provide an audio tour with photographs and a written transcript of the tour. The Bishop’s Palace is not yet wheelchair accessible. If you have special needs contact 409-762-2475 or 409-765-3410 or send an email to bp.user@galvestonhistory.org in advance to your visit to make arrangements. Bishop’s Palace is a privately owned and operated historic site listed on the National Register of Historic Places.